Simply amazing sea views from a stunning, newly refurbished, Victorian Townhouse in the most exclusive area of Youghal. 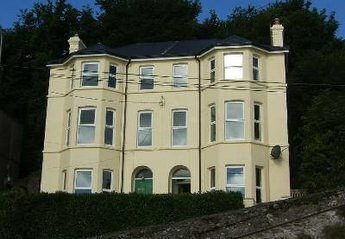 Simply amazing sea views from a stunning, refurbished, Victorian Townhouse in the most exclusive area of Youghal. We completed the refurbishment in Summer 2011. Next door to 3 Clifton, also available. Come and experience the undiscovered Ireland. 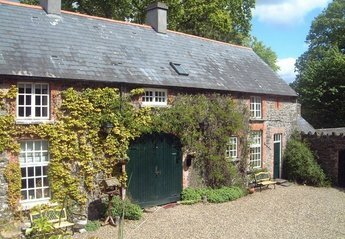 A stay in this memorable, traditional Farmhouse, which is set in lush green farmland in the heart of the countryside, heals the heart, soul and mind. 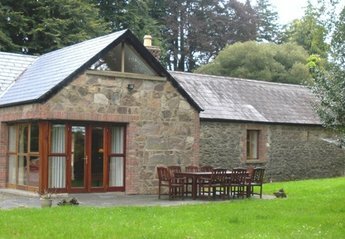 Self catering in Cork - all the benefits of Self catering with the bonus of having all the hotel & leisure facilities on your doorstep. This bright and airy 2 bedroom apartment is in the heart of historic Callan Town within a stone's throw of 9 pubs, supermarkets, restaurants/takeaways and King's River and Bridge (circa 1800). Luxurious New 3 Bedroom/3Bath Detached Dormer Holiday Cottage with FREE WIFI,Sleeps 9 on Atlantic Drive Downings close to Beach,Water Sports,Golf,Restaurants,Pubs,Horse Riding.